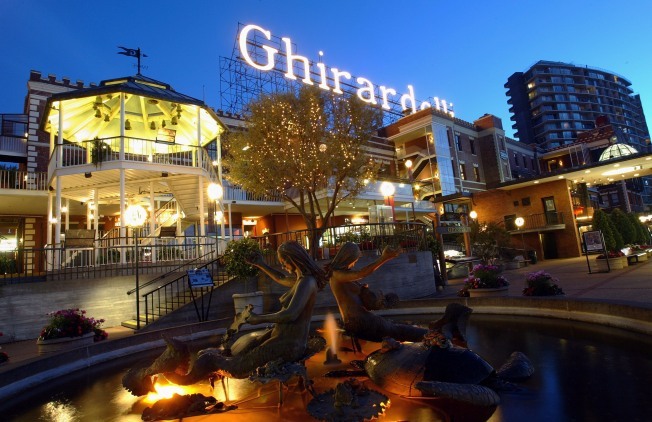 Ghirardelli donated $1 million worth of chocolates to BART. BART will sweeten the pain of the Bay Bridge closure for Bay Area commuters by handing out 65,000 Ghirardelli chocolates during Friday's morning commute. BART staff and Ghirardelli employees will be at several BART stations between 6 a.m. and 9 a.m. giving away Ghirardell's new Luxe Milk almond singles and coupon cards. The value of the giveaway is estimated at $1 million, according to BART. BART spokesman Linton Johnson said the "Rider Thank You Day" is meant to "give our customers something sweet to smile about" and to welcome those who don't normally ride BART. The chocolates will be given out at the Downtown Berkeley, Oakland City Center/12th Street, Embarcadero, Montgomery Street, Powell Street and Civic Center stations. The chocolates were donated by Ghirardelli, BART officials said.